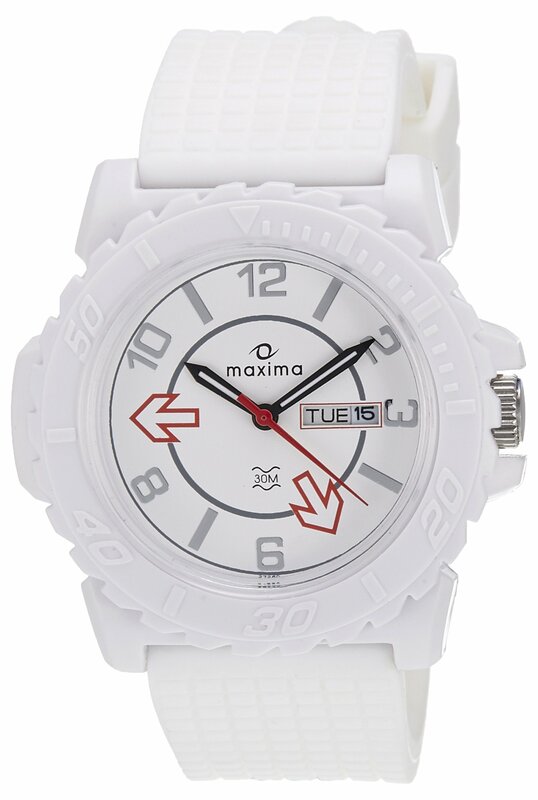 The analog wait for men from Maxima is an exquisite work in white. With grooved edges throughout it, the bezel has a waterwheel inspired design lending the watch a timeless appeal. Whilst the even-numbered hour markers are in Arabic numerals, the peculiar-numbered hour markers are black in baton shaped style, contrasting perfectly with the flushed white background. Except imparting the watch a vibrant look, the modest dial with bold markers aid in easy time-viewing too. Two arrows substituting the 5’o and the 9’o hour markers also augment the look of the dial face of this Maxima men’s quartz movement watch. A rectangular window juxtaposing the 3rd hour marker permits you to see the date at a glance, adding to your convenience. 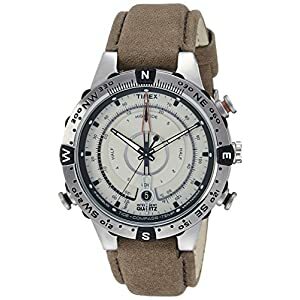 The bezel and dial-glass created from toughened plastic impart an implausible durability to the Maxima men’s analog watch. Plastic base of the chronometer also makes it very handy so you’ll comfortably wear the watch all day long. 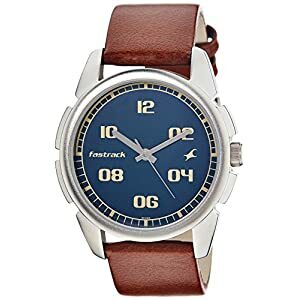 Further adding to the convenience is the silicon strap that makes the watch not only resistant to general wear and tear, but adds to the fashion quotient too. 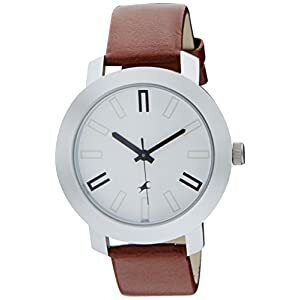 Its non-absorbent quality assists in keeping the watch dry and odourless even after hours of wearing it. 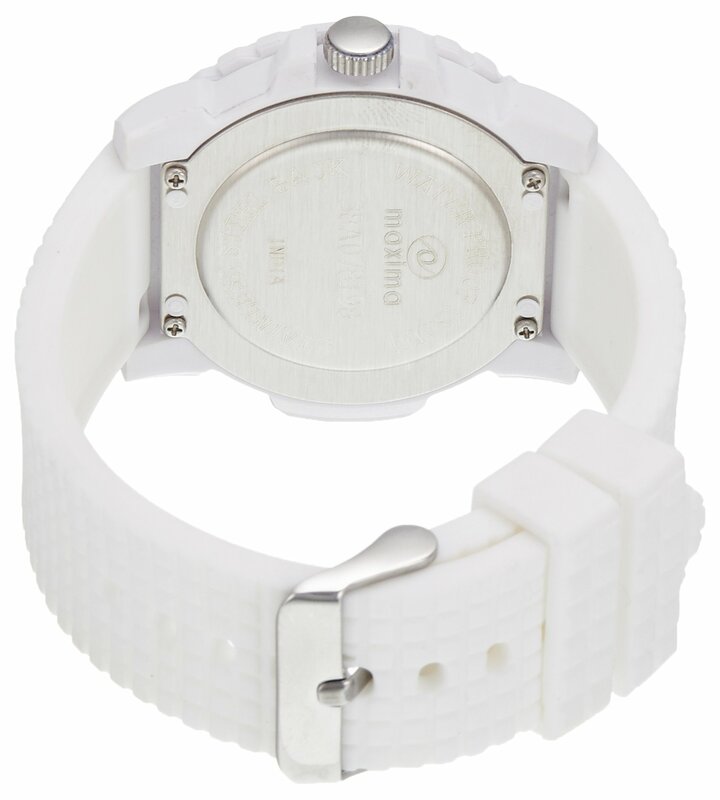 Water resistivity of up to 30m makes this watch ideal for all climates. 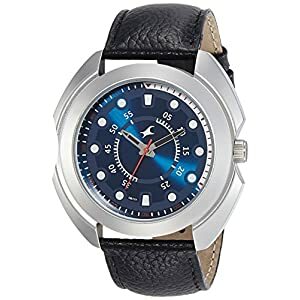 Maxima men’s water resistant watch from Aqua Sports Collection permits you to step out in style, all year round, be it the monsoons or the humid summers!